Present in 11 California counties. Naturalized in South Africa. Also naturalized in Australia outside its native range there. No other locations listed by USDA GRIN. Zenni, R.D.., Wilson J.R.U.., Le Roux J.J.., & Richardson D.M.. (2009). Evaluating the invasiveness of Acacia paradoxa in South Africa. South African Journal of Botany. 75, 485–496. Naturalized in 11 counties in California and in South Africa. Invasive in Tasmania and Western Australia but might really be native to SW Western Australia. (Native to southern and eastern Australia.) Also becoming a problem in the Cape region of South Africa, although populations are small and not spreading much. Forms locally dense stands. Considered an environmental weed in Tasmania and Western Australia (although may be native to SW Western Australia). Also becoming a problem in the Cape region of South Africa, although populations are small and not spreading much. Forms locally dense stands. Large portions of these areas match California, according to Cal-IPC's climate map, so yes. Acacia dealbata and A. melanoxylon are listed on Cal-IPC Inventory as invasive in California. 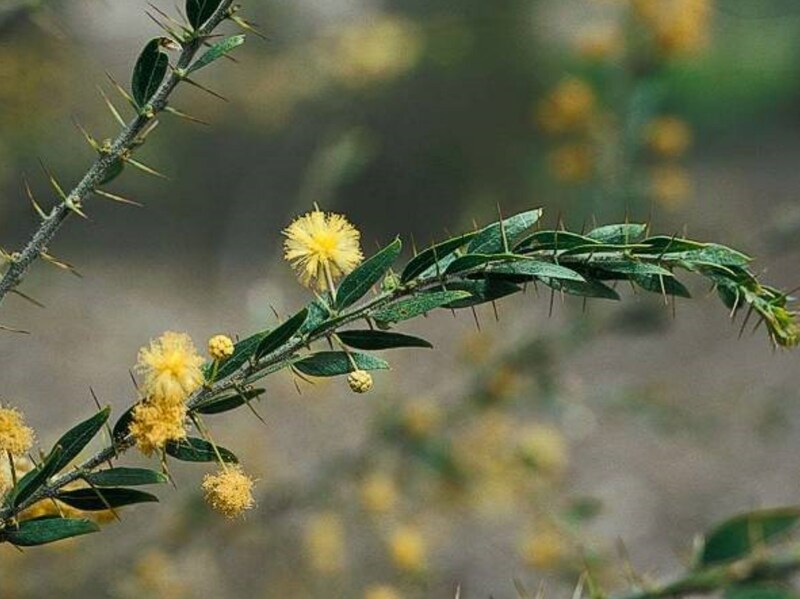 Can become dominant in some areas of Australia because thorny stems prevent grazing by livestock. In South Africa, at a local has formed thick stands of up to 20 plants per square m.
Listed as a "fire risky" plant to avoid in landscaping in Australia, but no information on whether it changes fire regimes. Adelaide Hills Council (0). PLANTING GUIDE TO LANDSCAPING IN HIGH FIRE RISK AREAS. Can be a problem in grazing areas in Australia because livestock will not graze the thorny stems and therefore the plant becomes dominant. As a tall woody species, its spines could also be a health hazard to humans or animals. In South Africa, at a local scale it has formed thick stands of up to 20 plants per square m. Has formed dense stands in Australia. Answering yes based on thick stands and the fact that it's a fairly tall, woody species with spines. Weeds of California mentions that black acacia produces suckers but does not mention this method of reproduction for Acacia paradoxa. No indication that it would be capable of this. Mean firm seed production per plant for A. paradoxa calculated at 58. Brown, J.. (2003). Seed production and germination in two rare and three common co-occurring Acacia species from south-east Australia.. (Enright, N.J.., Ed. ).Austral Ecology. 28, 271-280. Seeds are hard coated and require degradation or scarification to germinate. Produces seed at an early age. Flowers for 3 months. Flowers February - April in California so I am extrapolating that to seed production. Can be dispersed long distances by water. Can be dispersed by human activities.